In the picture above is part of stool product. Teak Stool is our product that completes our other products, such as chess table and the chess itself. The stool contain of two part that is top part which is the seat use and body part to support top part. This stool is strong and comfort for use outdoor and indoor. Has made of best quality of Teak wood and carved beautifully by expert craftsman. 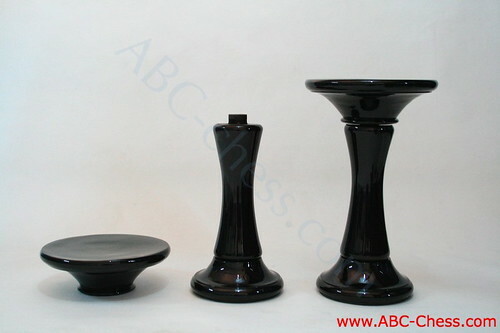 Polished in black with glossy touch make this kind of stool looks so elegant. This teak stool is also nice to used as indoor and outdoor furniture because adopts the shape and style of bar stool. Explore your furniture idea if you have this kind of stool. You can put it for your bar or coffee table in your house. It also perfect for small meeting room for your indoor activity with your friends and neighbors. Get it in brown color!